ICT – Software – App – Analysis – Development – Customization – IOT. 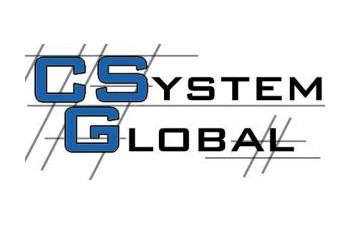 C System Global works in the computer industry and high-tech services supporting the customers with a constantly updated and professional team in possession of the expertise to use safely and efficiently the latest, most stable and consolidated technologies. C System offers fully equipped solutions, from supervision and control systems to industrial and agrifood production management, as well as customized applications focused on the integration and simplification of business processes. Furthermore, C System provides a large selection of development services as well as IT consulting. Whereas the standard products do not meet specific business requirements, C System can provide customized solutions built upon the customer's needs. C System empowers its offer with a very efficient advisory and consultancy service covering all the phases involved within the project of computer-based technologies: analysis, implementation, installation, configuration, software updates, user training and support. Today, the company core business is focused on the Research and Development of innovative solutions within the market of Information Technology (Some research areas are Security, Industrial automation, Production and quality control, E-health, IOT and General management of hospitals).Since year 2000 C System Global commercializes, projects, and develops software and hardware systems using Web and Wireless technologies. Team has acquired a remarkable experience in the development of Health Application and Ebusiness Portal using Microsoft and Java J2EE technology. Product: A DB Driven system that allows the dynamic control of hospital departments.